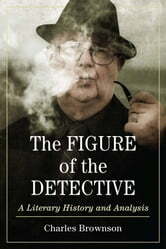 This book begins with a history of the detective genre, coextensive with the novel itself, identifying the attitudes and institutions needed for the genre to emerge in its mature form around 1880. The theory of the genre is laid out along with its central theme of the getting and deployment of knowledge. Sherlock Holmes, the English Classic stories and their inheritors are examined in light of this theme and the balance of two forms of knowledge used in fictional detection—cool or rational, and warm or emotional. The evolution of the genre formula is driven by changes in the social climate in which it is embedded. These changes explain the decay of the English Classic and its replacement by noir, hardboiled and spy stories, to end in the cul-de-sac of the thriller and the nostalgic Neo-Classic. Possible new forms of the detective story are suggested. WEB Griffin Books in Order: Badge Of Honor, Clandestine Operations series, Presidential Agent series, The Corps, Honor Bound, Men At War, Brotherhood of War, M*A*S*H, standalone novels, and nonfiction, plus a WEB Griffin biography.